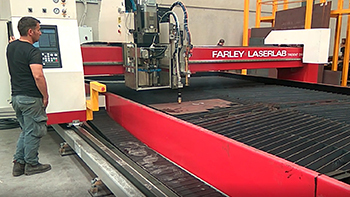 The TruEdge 3 machine by Farley Laserlab delivers high quality small holes with excellent cut quality and high performance. 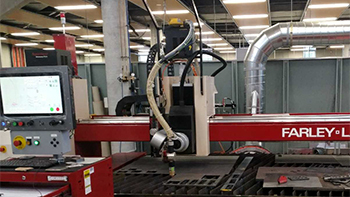 The machine come standard with a dross box fume extraction table that allows you to remove the the dross box and replace with a spare to reduce machine down time. 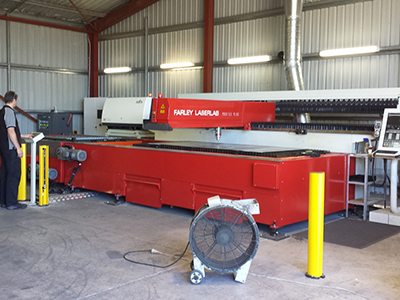 The TruEdge 3 is based on the very popular Farley Laserlab Trident and is a High Performance, High Quality motion system. Designed to be utilized with the Hypertherm True Bevel Technology giving you an easy to use bevel cutting that can produce "Y" and "V" Bevel cuts at ease.